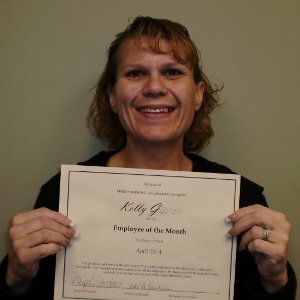 Kelly G. is our April 2014 Employee of the Month for the Peace of Mind Program! Kelly has been with Hired Hands since December 2011, and has worked with all manner of clients but we always get the same reports: “We love Kelly!”. “Kelly is always looking for something to do.” Kelly has become an integral part of the Peace of Mind Team, and is always ready to lend a hand. Thank you for all your hard work and dedication! 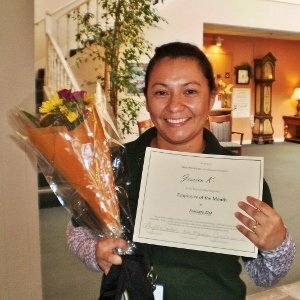 Hired Hands Homecare is proud to announce that Jessica K. is our Employee of the Month for the Peace of Mind Program for February 2014! Since starting with Hired Hands, Jessica has won over the hearts of our clients with her calm and easy going manner. She is always there to help out, and will go above and beyond the call of duty with every client. She has become an integral part of our facility team, and is looked on with great respect by co-workers and facility staff alike. We think Jessica is one of the top caregivers in North Bay, CA. Thank you Jessica for all of your hard work! You’re a star!